Chinese movies and TV shows are now easily accessible in dozens of countries thanks to the spectacular growth of Chinese-run digital TV provider StarTimes; freely-distributed Chinese-produced news content is now seamlessly embedded into countless African newspapers/TV programs and digital publications. All of this may help explain in part, why there appears to be a growing interest among African students to learn Mandarin. Although studying Chinese has been quite popular among elites in the United States and Europe, it’s been slow to gain traction in Africa. A 2015 effort to include Mandarin as part of South Africa’s national curriculum prompted a passionate backlash, and elsewhere on the continent interest was essentially non-existent. Not so on college campuses, though, where demand for Chinese language classes is rising fast. Students at 40 universities across the continent are filling classrooms for Mandarin language courses that are all underwritten by the Chinese government. 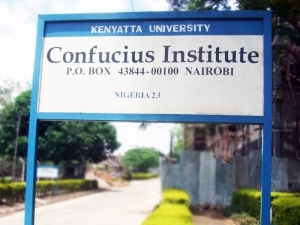 The classes and course materials are all free and take place on campus at centers known as Confucius Institutes. These Confucius Institutes play a central role in China’s soft-power diplomacy push, not just in Africa, but in countries around the world. With education budgets under strain in many countries, the opportunity to have a fully-paid Chinese language program seems irresistible to many school administrators. But there’s a catch. The curriculum at the Confucius Institutes is not set by the host university but instead reflects the priorities of the Chinese government. This has prompted concerns about academic freedom in the United States and in some European universities but, so far, not in Africa. 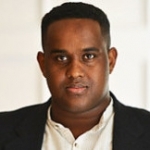 London-based freelance journalist Ismail Einashe traveled to Cheikh Anta Diop University in Dakar, Senegal earlier this year to report on the growing popularity of Mandarin education at Confucius Institutes. His story, recently published in the independent Hong Kong-based South China Morning Post newspaper, reveals widespread enthusiasm for Confucius Institute programs and none of the apprehensions that are more common on western university campuses. As a long-time listener to the China in Africa Podcast, as well as someone who has been associated with an American Confucius Institute (CI) since 2005, I appreciate your balanced discussion of CIs in Africa. I agree with your assessment that China’s motives for establishing CIs around the world are the same motives as Western countries that established their own centers abroad to promote study of their language and culture and positively influence the educated elites in the host countries. The difference today is that the Chinese government is spending a lot of money to establish CIs around the world, at a time when the US is withdrawing from the world and cutting back on its own efforts to win friends through soft power. CIs are popular in the US precisely because they provide American schools and universities with resources for teaching Mandarin that they cannot get from our own state and federal governments. I think that the reaction against CIs in the US, which is primarily coming from a small number of conservative politicians who are pursuing their own domestic political agendas, is a reflection of how successful CIs have been in promoting Mandarin learning. The possibility that students of Mandarin may develop positive feelings about China is a threat to the anti-China narrative that certain American politicians are trying to create. The one thing I think I can add to your discussion is to share some of my experiences working with CIs. I am a biologist who, while serving as dean of the College of Arts and Sciences at the University of Oklahoma (OU), helped bring a CI to OU. Our goal was to promote Mandarin teaching in K-12 schools that would create a pipeline of advanced Mandarin learners for our Chinese language program, and to provide our students with enhanced opportunities, including scholarships, to study in China. Today it is easier for American students to get scholarships from the Chinese government to study in China than it is from any source in the US. After a year of effort, our CI was formally opened in 2006, and I have served as Chairman of the Board of Directors ever since. I have also attended every Confucius Institute International Conference in China since the first one in 2005. From the beginning it was made clear to me by Chinese colleagues at CI Headquarters (Hanban) in Beijing that each CI had to operate consistent with its “local conditions” and that the US host university had complete control over our operations and curriculum. At no point has anyone from China told us what to teach or how to teach it. Although Hanban provides us with free educational material for language learning, we are not required to use it and we can replace or supplement it with any material our teachers choose to use. The OUCI is a unit of the University of Oklahoma and operates under the rules of the university, including academic freedom and freedom of speech. We primarily teach Mandarin and help Oklahoma schools to offer classes in Mandarin to K-12 students. We also teach some aspects of traditional Chinese culture. However, we do not use language classes to indoctrinate our students to a Chinese world view, just as my college German teacher did not try to teach us about the holocaust. Although we do not teach Chinese history or politics at our CI, we do sponsor or participate in public programs about China where the public can ask questions. Officially, the OUCI is politically nonpartisan. I always try to explain the positions of the Chinese and US governments on any issue, while avoiding defending or criticizing either the US or China. If pressed for my personal opinion on any issue, I always make it clear that it is not necessarily the position of the OUCI or OU. Our teachers from China are usually very reluctant to engage in any discussion of politics or politically sensitive issues. Since they are all trained as language teachers, they are actually not very good at articulating or explaining either the Chinese or US positions on issues. However, when pressed to say what they think personally, they not surprisingly will state their agreement with their own government. It is this exercise of free speech on the part of our Chinese colleagues that is being labeled as propaganda by people who believe that free speech is limited to repeating only the positions that they agree with. What is often overlooked in the discussion of CIs is that CIs are not a one-way street. They are a vehicle for two-way exchange between cultures. While the Chinese visiting teachers are teaching about their language and culture, they are also learning about the language and culture of the host country, where they usually spend one to two years. They return to China with a much better understanding of and appreciation for the cultures and people of the host country. In this way CIs are much more about building bridges and fostering mutual understanding and respect than they are about promoting any particular political agenda. Again, thanks for the work that you do. Your podcasts are always informative, and I recommend them to my students when I teach about China.